This book is so awesome in many ways. First of all, the artwork is amazing, as you would expect from Magic the Gathering. I used to play the card game and I wished they would go back and release artbooks for their earlier card sets too. This book came after The Art of Magic: the Gathering: Zendikar which is also an awesome collection of fantasy art. 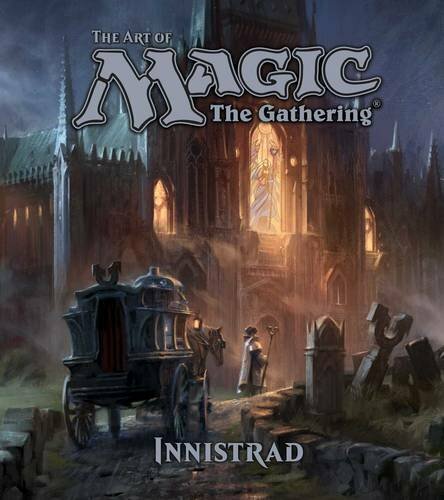 Secondly, the book covers the lore of Innistrad in detail with stories you can't find anywhere else online. For players, the book provides so much more depth. These are stories that create what you see on the cards, and now knowing the stories, it gives additional meanings to the characters and places. Third, the book is written by James Wyatt who is the senior game designer at Magic: The Gathering. Who else best to write this book than someone from the company. The book also talks about how such worlds are created. I would highly recommend this to the players and those into fantasy art. This is a brilliant artbook companion. The next book will feature Kaladesh.